We are leading manufacturer, supplier and exporter of a wide range of Pressure Cooker Rubber Gasket in Ahmedabad, India. The offered Pressure Cooker Rubber Gasket Lid are used in domestic pressure cookers. Durable and safe. 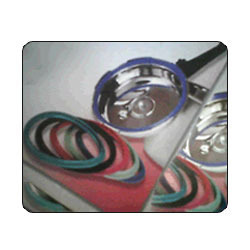 We offer our client an excellent quality range of Pressure Cooker Gasket. These are known for its sturdy construction, high energy efficiency, quality and reliability. Our company range is widely appreciated by our clients. Further more, client can avail these from us at affordable prices. 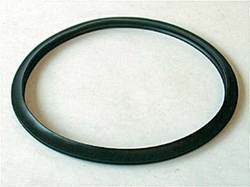 We are esteemed manufacturer, supplier and exporter of Cooker Rubber Gaskets in Delhi, Delhi, India. The offered Cooker Rubber Gaskets are highly demanded for their quality supremacy, fitment and long lasting usable life. We are one-step ahead of our competitors in offering a wide range of Cooker Gasket. These are acclaimed for their high quality, durability and rough and tough usage. Manufactured from optimum quality rubber, these products ensure high flexibility and reliability. these are available with us in various range and specifications. Hevea Automotive India Pvt Ltd.